AVAM | Best Road Trip Ever! 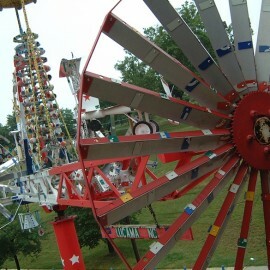 When you see one of Vollis Simpson’s whirligigs adorning the front lawn of a museum, you know it’s no ordinary place. This is indeed the mecca for those who appreciate work by self-taught, outsider or visionary artists. AVAM goes to Bergdorf Goodman!!! Copyright © 2014 Kelly Ludwig, all rights reserved.